Home » Botanicals » Come on Little Miss and Do the Twist! 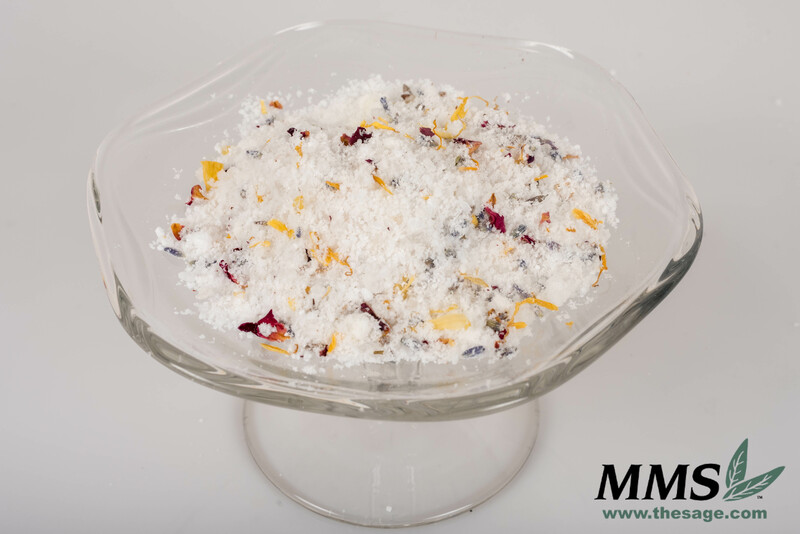 Today’s recipe is based off an old recipe for Foaming Fruity Layers Bath Salts. Since I am a bath fanatic, I want to remake this recipe with my own twist. ♬Let’s do the twist. Take me by my little hand and go like this!♬ Oh yeah! I am supposed to be writing a blog. Anyways, I added some dried botanicals to give these salts some color. I also added some different types of salt to give additional texture. When trying to choose a fragrance oil, I knew that I wanted something floral smelling. Choosing one was a little difficult because I am not a big fan of intense floral scents such as Rose or Gardenia. I came across Lavender Fleur Fragrance Oil and I was surprised. How could I forget how much I love this fragrance oil? It is not a medicinal scent like our Lavender Essential Oils. Lavender Fleur consists of lavender, green cucumber, a twist of orange and a wave of white lily. With Mother’s Day just around the corner, this would make an amazing gift. Treat all the women in your life to a spa-like experience with these bath salts. If you know a man who loves a good long soak, then you could make this recipe and add Gladiator Fragrance Oil to give it a manly twist. To make this recipe, we will use a scale. This can be done two ways. 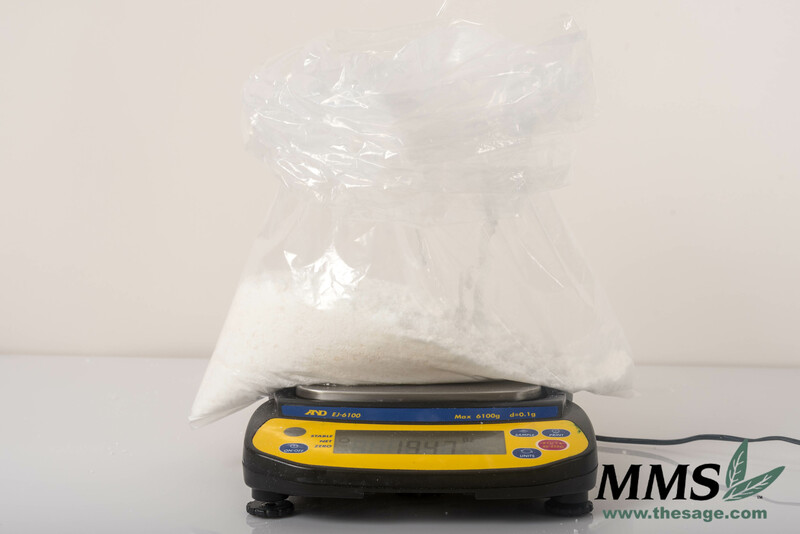 Line a vessel with a bag or put the bag directly on the scale. Just please don’t forget to tare the scale! Once everything is weighed close up the top of the bag and shake it up.♬Shake it up baby now! Twist and Shout!♬ If you notice any clumps as you are shaking then break them apart. The Q.S. in this recipe means quantity sufficient. I did not weigh the amounts of botanicals I added, I just kept sprinkling until the salts started looking fabulous. Everyone is different so make these salts with your own twist. When packaging these bath salts, I chose to put them directly into the zip bags that we use for our blog projects. Andee asked me, ” Why aren’t you putting this into tea bags?” I replied with, “Because then you wouldn’t be able to see the pretty flower petals!” Andee also mentioned that she would not want to have to clean her bathtub after having a bath. So, consider what is important to you. I want people to be able to see how beautiful these bath salts are, plus, I love laying in the tub and having petals float around me. Floating petals makes me feel like a fairy princess. Do your own twist, these salts can be packaged in Clear Gusseted Bags, Heat Sealable Tea Bags, or the Bath Salt Tubes. The last step is to label and enjoy! I love how dried petals are always so pretty and add an upscale look to products. I include a little muslin or organza bag with my finished product – tied onto salt tubes, jars or tucked into the clear bags. What a clever idea to include a bag! I never would have thought of that and it deals with my worries about cleaning the tub very practically. ← Help! Have you made the Manly Balm Lip Balm?